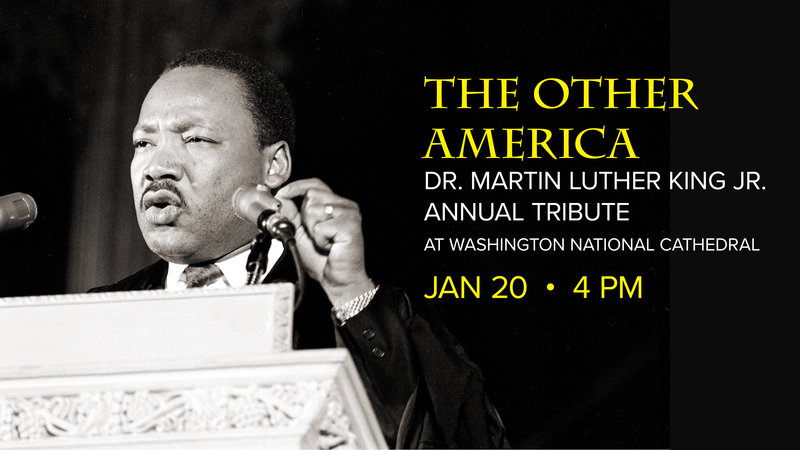 In 1967, Dr. Martin Luther King Jr. described an America with “a daily ugliness … that transforms the ebullience of hope into the fatigue of despair.” Join special guest Cathy Hughes, founder and chairperson of Urban One Media, the largest African-American owned and operated broadcast company in the nation, for this annual event. King's words, amplified by music and movement, remind us that this “other America” still exists for too many today. Canon Missioner Leonard Hamlin Sr previews Sunday's MLK celebration at Washington National Cathedral on air at PRAISE 104.1 FM, with our partners Judith Browne Dianis of the Advancement Project (DC) and Cathy Hughes, founder and chairperson of Urban One Media.